This is the most important question you will ever answer. Do you really believe this? 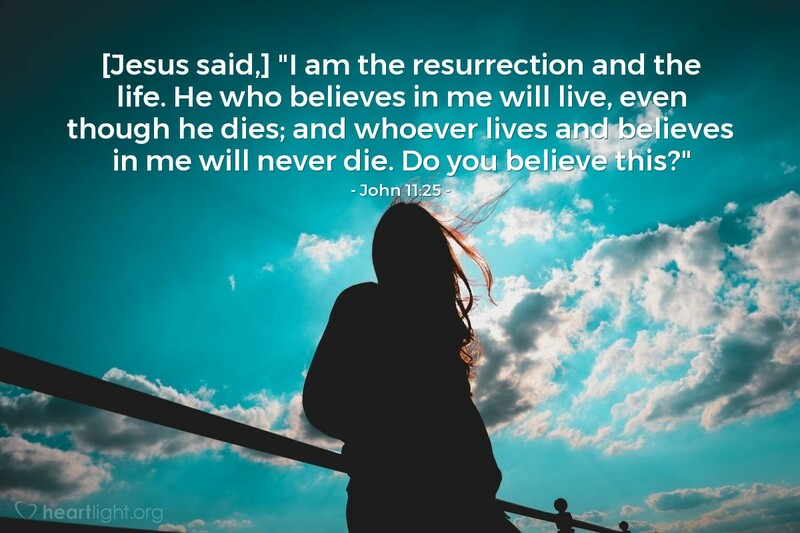 Do you believe that when you died with Christ in baptism through faith, that you died the most significant death and that your physical death will not separate you from Jesus? All of life, even all of eternity for you, hangs on this one question. Almighty and Everlasting Father, I believe that because you have adopted me into your family, that death will never claim me. Help me live with new vigor and confidence knowing that Satan cannot have me and death cannot claim me because I am yours through Jesus, your Son and my Lord, risen from the dead. In the name of my precious Redeemer I pray. Amen.